Details about MARVEL GI JOE #2 26 27 2nd prints PRE-BAGGED 3 PACK SET! SNAKE EYES ORIGIN! CGC? 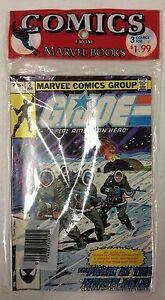 MARVEL GI JOE #2 26 27 2nd prints PRE-BAGGED 3 PACK SET! SNAKE EYES ORIGIN! CGC?